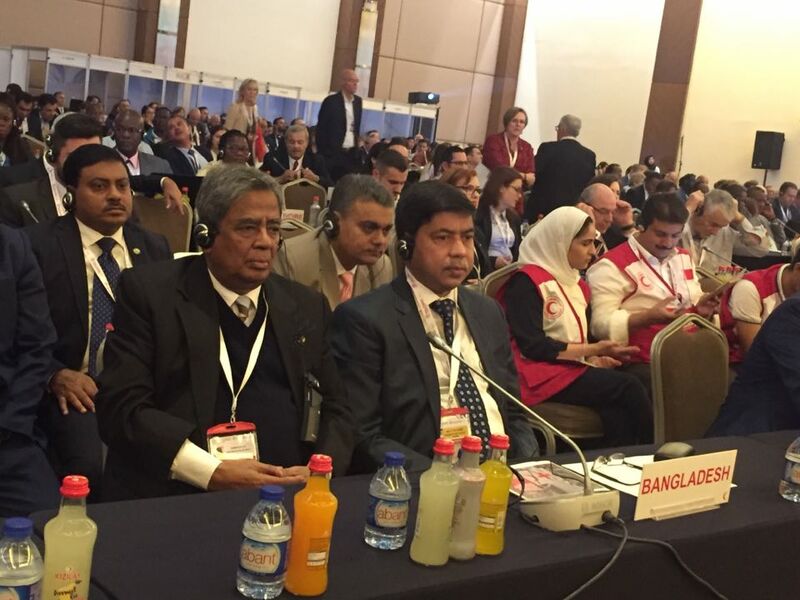 The Vice Chairman of Bangladesh Red Crescent Society (BDRCS) Professor Dr. Habibe Millat, MP has been elected as the Member of the Governing Board of International Federation of Red Cross and Red Crescent Societies. Professor Dr. Habibe Millat, MP, the Vice Chairman of Bangladesh Red Crescent Society has been elected as the Member of Governing Board of International Federation of Red Cross & Red Crescent Societies (IFRC) cast vote by 190 National Red Cross & Red Crescent Societies. He has been elected for a term of next 4 years through an election held in the General Assembly of IFRC in Antalya, Turkey on 6 November, 2017. “This triumph is the recognition for the contribution of BDRCS in humanitarian service delivery which will further inspire us to be more accountable and deliver humanitarian services more effectively and efficiently. Besides, it will enable us to contribute to the higher policy level of IFRC” as mentioned by the newly elected representative of BDRCS to the IFRC Governing Board, the Vice Chairman of BDRCS Prof. Dr. Habibe Millat. Mr. Hafiz Ahmed Majumder, the Chairman of Bangladesh Red Crescent Society has congratulated the newly elected President, Vice Presidents and all the Members of the Governing Board of IFRC. Likewise, he also expressed his heartfelt gratitude to the 189 Red Cross & Red Crescent National Societies for electing BDRCS as a Member of the IFRC Governing Board.